Are you ready to get retro and slide into synthwave? 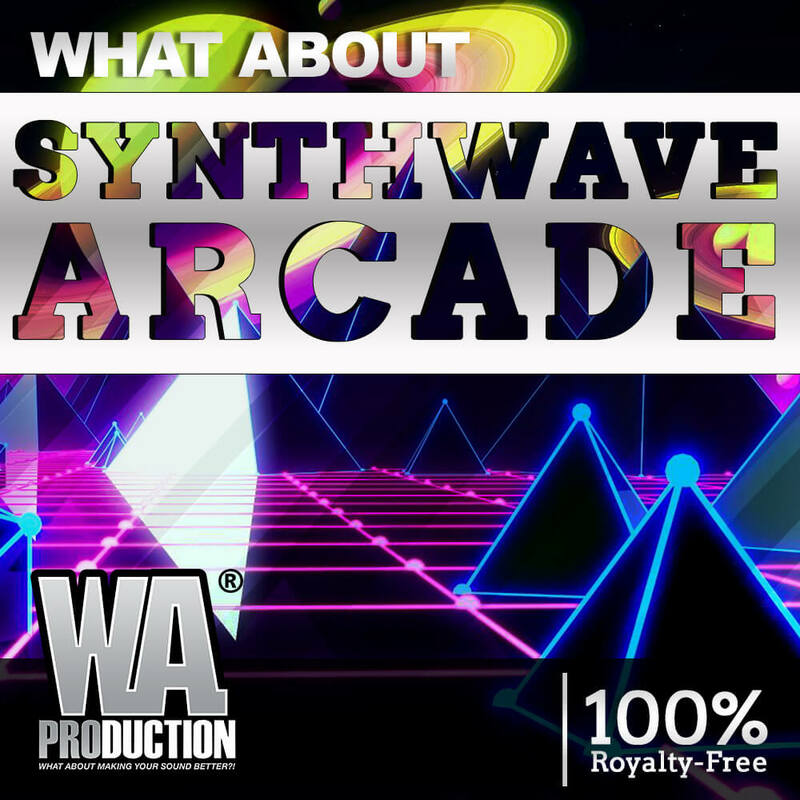 We present to you What About: Synthwave Arcade sample pack. These are the sounds you've never heard before. A modern fusion of old-school classic sounds blended together in a way that has never been done before. We've got the funk of nu-disco, the past future atmosphere from the 80's, and rhythmically thumping retro wave synths giving you this inventive hybrid spin on synthwave. What a better way to master these elements than by picking up this pack that spills out our proprietary ingredients in the form of not only audio samples, but construction kits and presets. Don't just settle for being on top of the game, make the rules and lead it. With the precise amount of robotic, futuristic, and spacey melodies driven by a constant and strong funky bass line that you can feel within the depths of your soul, your mix will be turning heads and grabbing attention. Spark the intrigue of your audience as you astound and amaze with this synthwave hybrid. Ask yourself, What About Synthwave Arcade? Whether you are a professional producer looking for a positive workflow right out of the box or looking to learn the ropes of a new style you need to add this fine quality pack to your library today. Here at W. A. Production, we adhere to a strict standard of quality. We spend time behind the board with our hands-on and our ears open accepting only the best of the best. Our producers are affluent in the EDM scene and are at the forefront of creation. We won't put our name on just anything. This ensures you that there are no regurgitated sounds of yesterday. We want to be the leader, we want your mix to lead. We stay one step ahead of the game and offer these sounds to you so that you can master your craft and get the results you want. You expect the best and so do we. Buy our packs with confidence and knowing that you'll get the latest and most innovative sounds with the utmost respect for audio production quality. 5 Construction Kits that include over 160 WAV, MIDI, and Presets. 5 Templates for Ableton Live. Templates Compatibility: Ableton Live 10 (and Higher). Sample Pack Compatibility: Any DAW.